Each ambulance is fully equipped with the appropriate medical equipment and medication, plus two stretchers. Skilled medical practitioners work in teams of two per ambulance and provide quality care based on their training. Advanced Life Support (ALS / Paramedic). EMS operates over 250 ambulances throughout the province. The 6 Emergency Communications Centers (ECCs) throughout the province employ trained call takers and dispatchers who make sure that the calls made in an emergency are correctly prioritized and dispatch the closest ambulance offering the correct level of care to the incident. ECCs are located in the districts of Cape Town, Cape Winelands, West Coast, Overberg, Eden and Central Karoo. Emergency Communications also operates a Major Incident Command Vehicle (METRO 4) which operates as a mobile communications and command centre in the event of a disaster or major incident. EMS rescue technicians provide both technical and medical care on the scene of a rescue operation. These operations may vary from motor vehicle accidents requiring patients to be mechanically extraicated with the “Jaws of Life”, through to mountain rescues where patients need to be airlifted or carried to safety. Each rescue vehicle is fully equipped with power tools and hiking equipment and there are 46 rescue vehicles operating in our province, including Rescue 6 (EMS Rescue Crane) which can remove heavy equipment (such as trucks) from scenes, providing access to patients for the EMS staff. HealthNET (Health Non-Emergency Transport) provides transport for non emergency patients between home and facilities, or between multiple facilities. Patients are booked using an online system that ensures that seats are allocated equitably and no patients can be overbooked. Bookings can only be made through a provincial health care facility (hospital/clinic) and patients receive a reference number and date of collection. 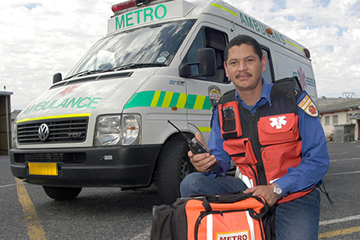 There are 90 HealthNET vehicles operating in the Western Cape. Always make sure that it’s a real medical emergency before you call as tying up emergency lines could lead to the prolonged suffering or death of someone else. Specific details about the location (address) of the incident or potential patient. Provide landmarks. Specific details of the incident. Speak clearly and calmly to the person taking your call. 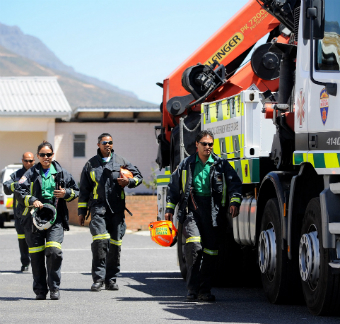 For emergency medical care, phone the National Medical Emergency Number 10177, and an ambulance will be sent out from one of several ECCs in the Western Cape. If you’re are dialling from a cell phone, you can dial 112. No one will be refused the service based on capacity to pay. If you’re a member of a specific medical aid , you’ll be charged Uniform Patient Fee Rates agreed with the medical aids.